The great north facade of the Cross House. See the chimney? It’s brick. It’s tall. It’s fabulous. Now, see how the chimney is bisected by the big cornice? This is what the chimney looks like just under the cornice. This is sooooooo not good. There should be mortar between the bricks! At some point somebody thought it would be a good idea to paint the red brick…red. So, you are looking at red paint rather than red brick. As a reader of Old House Journal since the 1970s (yes, I really am that old), I have known for decades the dangers of repointing, even though until today I never had a practical use for such knowledge. You see, most masons will just buy the type mortar they always use and fill in all the empty spaces. Because, old brick is rather a different thing than post-WWII brick, in that it is much softer. But modern mortar is very hard. This is fine with modern brick, but will prove a disaster with old old old brick. Like my 122-year-old brick. Mortar which is too hard will literally destroy the brick. Mortar should be just a bit softer than the brick itself. Where the hell do I buy it? Type O and Type K are recommended for most historic masonry applications. However, most masons are not aware of this. So, it would seem that I would be good with Type O or K, right? 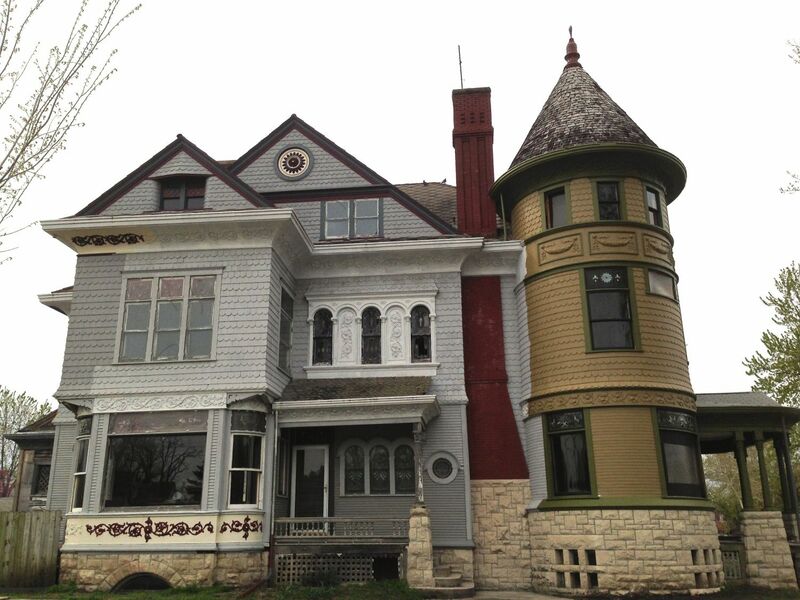 16 Responses to Tuckpointing a Historic Chimney. HELP! This looks promising. They are in Chicago. Lots of information and looks like a good place to start. There were different degrees of hardness in brick. In 1988 I was in your situation. My house was built in 1902 and the 4 chimneys needed repointing just as yours does. Having read an article in Old House Journal concerning using new mortar with old brick, I had the mason add lime to the mortar mix to soften it up. He added too much lime — creating a much too soft mortar. Now in 2016, I have to do it all over again. My bricks are as hard as today’s brick. I noticed the square edges of your brick. From here, they also look like the hard brick. Beware of using too soft mortar. In 30 years someone will have to do it again. An experienced mason should be able to guide you in the right direction. The New York rowhouse manual has a recommended recipe on Page 17 for a soft mortar including both lime and Portland cement “to repoint most Nineteenth-Century rowhouse facades.” I’ve also heard some people say that mortar for historic masonry should include no Portland cement at all, but on the other hand if the brick is hard enough to handle some, it will hold up longer especially on a chimney. I’d be afraid to make this call. I’m terrified of everything about dealing with my own facade, too. The houses on my street with “restored” original brick fronts appear to have had the durable outer layer of the brick power washed off and were scrub pointed with white mortar. Meaning they have false thick mortar joints applied over the brick in the style of a 1950’s tract house when the original joints were about 1/8″ wide and colored red. I’m planning on getting recommendations for a mason from the Historical Commission even though my house is not landmarked. 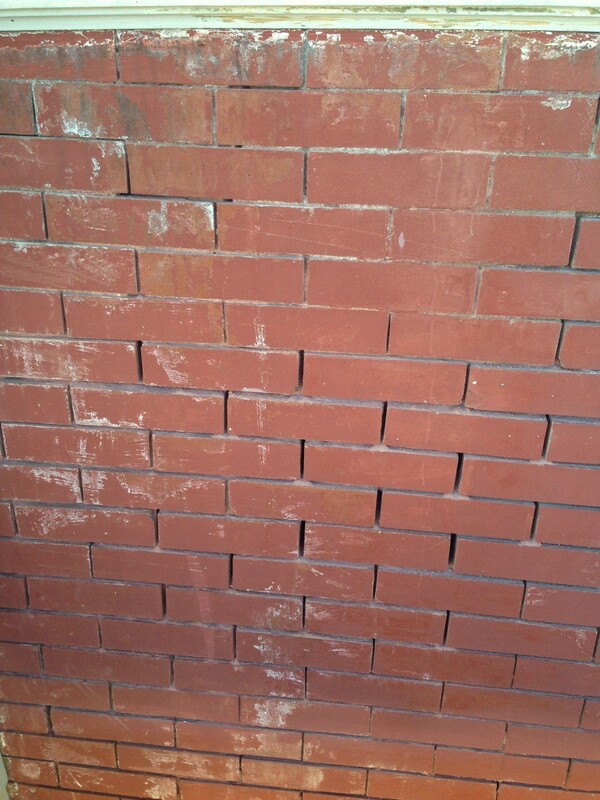 Some of my brick is water damaged and shedding red dust onto the sidewalk, but fixing it this year is not in the cards. Also the Philadelphia Rowhouse Manual is interesting to compare and contrast with that one for unrelated reasons. Namely the houses shown in this one aren’t all rowmansions. Ross, in addition to my wooden pile, I own a massive 1905 brick–it followed me home and I had to keep it– that has chimneys similarly afflicted to yours. Check out this company. They look like a wonderful resource–claim to analyze composition and even match pigment in the mortar if your mortar was originally tinted, as is likely. Could you lift off a brick or so from the top and get an original sample of the mortar to send to them? As to how long a subscriber to OHJ–I’m a charter subscriber, you spring chicken, you! This recommendation made my day. Can someone in the Kansas state preservation office direct you to appropriate professional resources as well? I discovered your blog about a week ago and have become obsessed with the Cross House and your progress on its renovation. I have binge read all blog posts over the past few days, I even dreamt about Victorian wallpapers and woodwork last night. My co-workers asked yesterday if I would be making a road trip to Emporia – it is THAT bad, my coworkers have noticed my obsession! If I lived closer, I would load up my sewing supplies and be on my way to help with curtains, or my guess would be, show you how to accomplish making them fit. Your blog is a joy, your writing manner a delight, I look forward to following along on this journey. Thank you for the view you have given us into your life and your amazing house. We have this problem in Chicago. Inexperienced masons simply use hard Portland mortar on our soft common brick. Aargh. Good luck. I vote for a little softer mortar just to be safe. Here is a link to our local experts. I would give them a call. I know Kansas has a rich history of brick making and that bricks are a well researched area of interest for collectors and historians. I bet you can ultimately learn the source of your bricks and their composition! Just for fun, check this article. There is a fellow in Independence Iowa that does historical brickwork. I cannot remember his name since I met him in the early ’90s but he redid the horrendous repairs on the Frank Lloyd Wright house near there.http://www.friendsofcedarrock.org/ You might be able to get his name and contact information from this site. He could help with figuring out what to do.